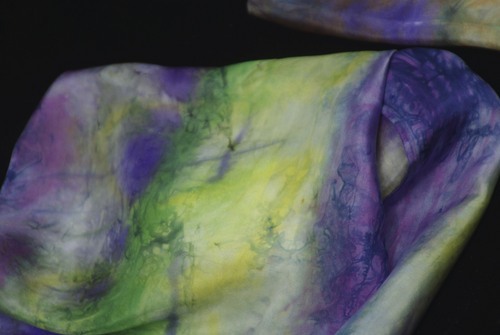 Hand dyed silk scarves made in the studio are just one of the items made in this studio. Dye classes may be set up. 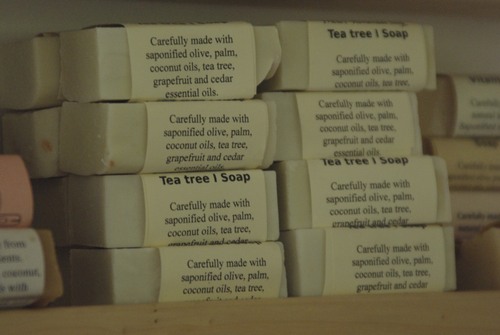 Some soap of many that are made in the studio on a regular basis. 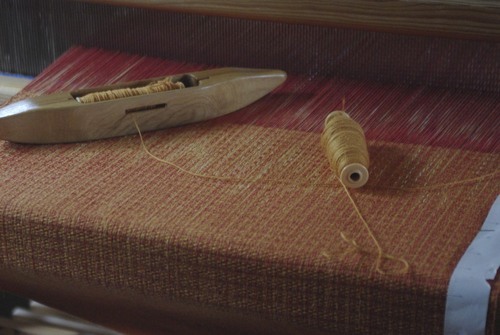 Weaving in progress on the loom. 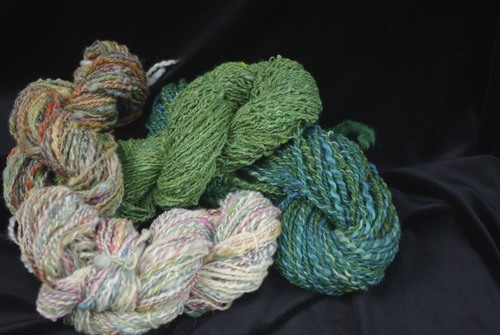 The warp was hand dyed. Red breasted bird. 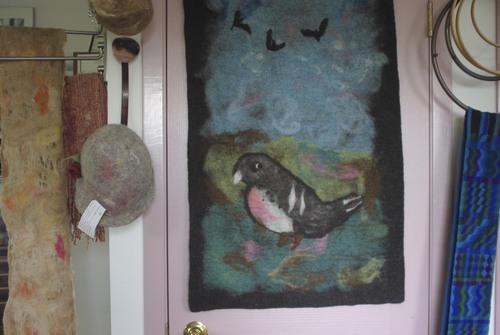 Hand felted wall hanging with a few other items displayed as well. Felt hats and scarves. Felting classes may be set up on an individual basis.